Road tripping is a quintessential part of life in many countries around the world. Growing up in the US, we often think of road trips as being an American thing (don’t we think that about all things! ), but through my years of traveling around the world, I have seen how it’s part of the fabric of so many societies. 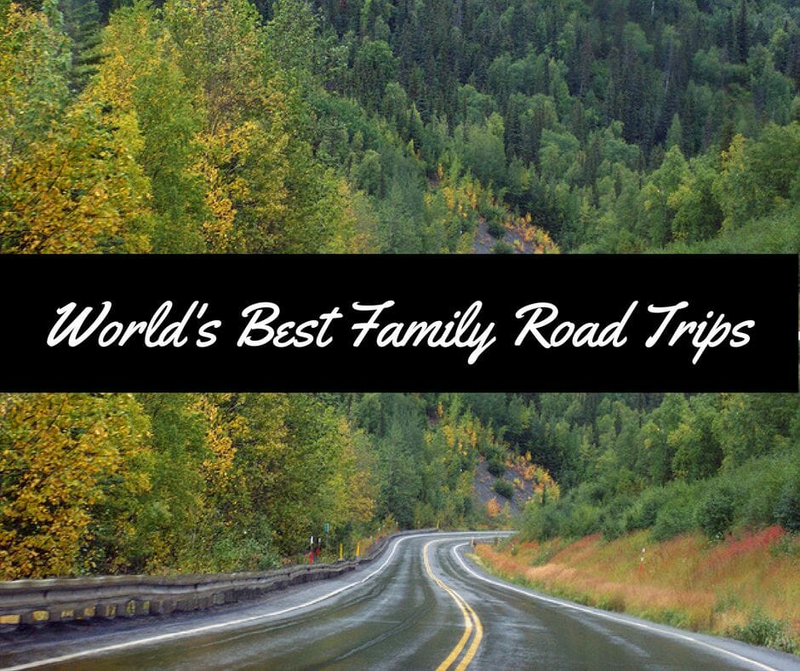 One of the things that families throughout the world seem to have in common is their love of road trips! 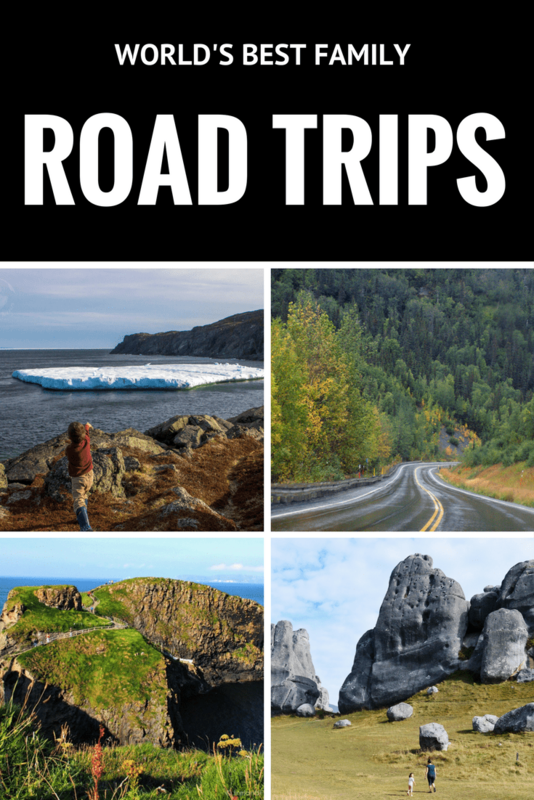 Check out the top road trips around the world that my fellow family travel bloggers have recommended. Next week I will share the best road trips in the US (in case you were wondering why they are not here!). With snow-capped mountains, icy river rapids, and spectacular rock formations, the natural beauty of New Zealand has to be seen to be believed. The ideal way to visit everything New Zealand has to offer is by road. We recently did a family road trip around New Zealand’s beautiful south island over 12 wonderful nights. We started our adventure in Christchurch, where we spent 2 nights, visiting the botanical gardens, the 2011 earthquake memorial, 185 white chairs as well as the Restart Mall and the Quake City Museum. From Christchurch we drove across the south island to Hokitika, an adorable town known for it’s greenstone, gold and glassblowing shops. Along the way we stopped and explored the many rock pools on the side of the road as well as spent time exploring the rock formations at Castle Hill. Before heading out of town, we made a stop at the stunning Hokitika Gorge. Our next destination was Franz Josef, one of the most accessible glaciers in the world, where we were able to walk to the front of the glacier on the Glacier Valley Walk. We based ourselves in Fox Glacier for 2 nights, in order to take a helicopter ride to the top of the glacier, soaking up all that we could from this area. Next stop, Queenstown, through one of the prettiest and most dramatic parts of this road trip, Haast Pass to Wanaka. On the way, we also stopped at Lake Matheson for a quick hike as well as the Blue Pools and Fantail Waterfalls to break up the long drive to Queenstown. During the 4 nights we stayed in Queenstown, we took in the sights of the area, did a day trip to Milford Sound and rafted down the Shot Over River. Next on our circuit, we spent a night at Mt Cook, New Zealand’s highest mountain, stopping to admire the gorgeous Lake Pukaki on the way. Don’t miss the icebergs in the Tasman Glacier terminal lake while in Mt Cook. A must do experience here. Our last stop on our south island adventure was 2 nights in Dunedin. For visitors to Dunedin, make time for a tour of the Cadbury Chocolate Factory as well as time to see penguins, seals and albatross in the wild. A road trip through Tasmania is a great way to explore this pristine island state of Australia as a family. Affectionately called “Tassie” by Australians, the island is compact at 200 km wide, making for short drives between sites. Kids and adults will love the amazing Australian wildlife, convict history, enchanting wilderness, and interesting cities. Allow yourself at least a week to road trip through Tassie, although two would be better. When planning your itinerary don’t make the mistake of trying to see the whole island on one trip. Start your trip in the capital city of Hobart and try to plan to be there for the famous Salamanca Market, held every Saturday. Overlooking the city, Mount Wellington is a must to visit. You can choose to drive to the top or hike the last portion. Whichever you choose, you will be rewarded by spectacular views of the southern coast. From Hobart, take a day trip to the Tasman Peninsula and the renowned convict settlement of Port Arthur, 100 km away. The whole family will enjoy learning about Australia’s convict origins at this open air museum, which is Tasmania’s most popular tourist site. The Tasman Peninsula also offers up some amazing geological attractions. The blow hole, Tasman Arch and Devil’s Kitchen and the Tesselated Pavement are all worth checking out. From Hobart, head north up the east coast to the second most famous site in Tassie, Wineglass Bay. Located in Freycinet National Park, the whole family can hike to the viewpoint for the world famous view of this beautiful beach. Heading further north, make your way to the Bay of Fires, an area that locals kept secret until recently. Lonely Planet has named it one of the hottest destinations in the world and it is easy to see why. The kids will love exploring the huge lichen covered boulders scattered along the white sand beaches at Cozy Corner. Stretching from the lively city of Belfast to the walled city of Derry, Northern Ireland’s Causeway Coastal Route along the A2 is 120 miles of inspiring coastal views, mystical footsteps to follow, and absolute Irish magic. Begin in Belfast. A Black Cab Tour of the city is a perfect introduction to the history of this city that is both Irish and British. Discover the full story of the ‘unsinkable’ Titanic and step aboard the only White Star Line ship remaining today, the SS Nomadic. Leaving Belfast and winding your way along the coast, the massive Norman keep of Carrickfergus rises alongside the road. If you’ve not ventured into a castle yet, this is a terrific one to begin with. After passing through Larne, where large ferries cross to Scotland multiple times a day, the coastal views open wide as the road winds along the northern edge of Ireland. Detour into the Glens of Antrim to visit the famed Dark Hedges and the Glenariff waterfalls. A bit further along leave the A2 again, for the narrow, climbing path of Torr Road. Climb the tall, rugged crag of Torr Head to the early 19th century coastguard station. On a clear day Scotland is visible just across the Irish Sea. The well-known sites of Carrick-a-Rede Rope Bridge, a span linking the mainland to the tiny fishing island of Carrickarede, the Giant’s Causeway, where the Irish Giant Finn McCool built a path to Scotland of octagonal stones, and Bushmills, home of fabulous Irish Whiskey, fall in an easy order as you continue the route. Game of Thrones fans will recognize the ruin of Dunluce Castle perched on the crumbling cliff edge as the they round a bend toward Portrush. Another much-photographed site, Mussenden Temple, isn’t visible from the roadway, hidden as it is by the rolling hills of Downhill Demense. To view the Temple, but not visit it, make a stop at Downhill Strand, a beautiful sandy beach below the rocky bluff. The A2 ends in the walled city of Derry. 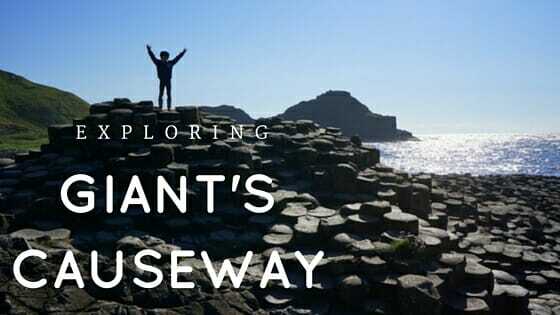 Hire Gleann at Derry Guided Tours to lead you along the city walls and into the Bogside below- it will perfectly cap your experience along the Causeway Coastal Route. Portugal is a captivating country and best explored by car. 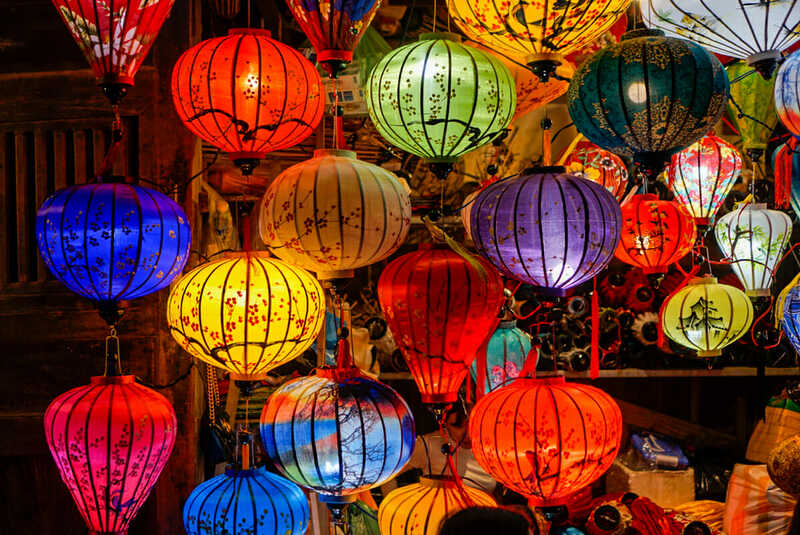 The lively culture, friendly people and out-of-this-world food make it an incredible destination for families. Better yet, its largest cities, Lisbon and Porto are both fascinating and only a 3h drive apart, making it a perfect road trip for families who are short on time. Spend at least two full days in Lisbon and enjoy a day trip to Sintra to visit the Moorish palace before heading north. Your first stop is only 1h away. A charming medieval town, Obidos was once given as a wedding gift to Queen Isabel. Walk its medieval walls and spend the night at their castle, which has been converted into a luxury hotel or keep driving north, onto your next stop. Take a break to marvel at the waves in Nazare, a laid-back fishing village with gorgeous views of the Atlantic. Head to Coimbra to visit the one of the oldest universities in Europe. In Porto, we highly recommend the Yeatman hotel if you can splurge a bit. Complete your visit with a tour of (at least) one of the Port houses and a visit to the bookstore that inspired J.K Rowling to write the Harry Potter series. If you have ten days or more, the weather is nice and beach is your thing, consider a drive from Lisbon to Faro, in the Algarve. Explore the overlooked coast of Alentejo, with its breathtaking cliffs and untouched landscapes. Visit charming villages, such as Comporta, Porto Corvo and enjoy stunning beaches such as Carvalhal and Zambujeira. While Iceland’s most popular road trip may be the Golden Circle, our favorite family road trip was through Southeast Iceland. We started from the capital city of Reykjavik to Hofn along the Ring Road (Route 1) which is the main national road. We highly recommend taking between 3-5 days and doing this particular trip during the summer. Iceland is known as the Land of Fire and Ice and this drive will show you why. We stopped countless times along the way to marvel at the incredible scenery. Thousands of purple and white flowers or Alaskan lupines (Nootka) fields line the road. The beautiful Icelandic horses along the route were also hard to resist. These were our favorite must visit stops: Seljalandsfoss and Skógafoss are two waterfalls worth the detour. We loved walking behind the Seljalandsfoss waterfall and hiking to the top of Skógafoss. The Dyrhólaey Promontory is a great stop to see many puffins along with other birds nesting. Reynisfjara Beach looks like an otherworldly landscape of black sand and stones, which are remnants of basalt lava. This is a beautiful place for a stroll and everyone loved climbing on the hexagonal shaped basalt columns. Vik is Iceland’s southernmost town. This area is a great place to stop for lodging, gas and food. The charming church at the top of the hill provides some scenic ocean views. Skaftafell National Park is located on the foot of Europe’s largest glacier called Vatnajökull. There are many scenic hiking trails here for the whole family. One of our favorite adventures was doing a guided glacier hike nearby. Jökulsárlón Glacier Lagoon is probably how many people picture Iceland. The large lagoon was covered with icebergs with a massive glacier in the backdrop. Amphibian boat cruises are available to take visitors around the lagoon. We loved our Zodiac boat tour, which was smaller. This allowed us to get closer to the glacier while cruising along floating icebergs. We saw glacier falling off (calving) and even a seal sunbathing. The North Coast 500 route sets off from Inverness in the far north of Scotland. From the moment you hit the road, this route has some amazing scenery to offer. The landscape varies from lunar landscape through peat lands and fertile farm lands to stunning coastline and gorgeous hills. Perhaps the best way to take in the beauty of the place is by interrupting your drive with numerous walks. The people of the Highlands are just lovely, so make sure to stop often, chatting with locals too. The region has lots of fresh seafood to offer and some of the best lamb and beef in the world, check out places like Bistro no 1 on the shortest street in the world, Ebenezer Place in Wick, as you pass through. The North Coast is 500 miles or more, depending on the detours you decide to take. It can be driven in as little as 3 days, but having spent a week driving in this stunning part of the world, I would recommend you take your time. There are B&B’s, along the way, but why not take advantage of the freedom to roam that Scotland allows and camp along the route? Croatia is the perfect place for a family road trip. It’s stunning landscapes with many interesting places to stop along the way provide a wealth of opportunities for activities great for kids. On our road trip through Croatia, we went from Zagreb, the capital, to Dubrovnik. In addition to driving the length of the coast of Croatia, we also took the car over by ferry to the island of Brac. There are so many places worth stopping, it’s difficult to narrow it down. We went to Zagreb, Zadar, Pag Island, Nin, Split, Brac, Makarska and Dubrovnik. If you are road tripping in Croatia, you must visit at least one of the more than 1,000 islands. We especially recommend Pag Island (it’s connected by bridge) and Brac. We spent two and a half weeks, however you could easily spend longer as there are many other places that would be great to visit. If you only have a week, I would recommend just doing the Dalmatian Coast, Zadar to Dubrovnik but that’s still not going to leave as much time to explore as I would recommend. Note, driving down to Dubrovnik actually means passing through another country – a tiny part of the coastline is part of Bosnia and Herzegovina – but this is easy to drive through with a very straight forward border crossing. One of the few road trips we have done in mainland Europe was from Madrid to Barcelona, taking the long way through villages perched high on the cliffs, through a long forgotten ghost town from Spain’s civil war and through many more enclaves nestled in between fields of olive and grape plantations. This route can be completed in as little as 2 days, but to really get a feel for the county side and have time to explore the villages, we recommend at least 3-5 days. Regardless, your first stop should be Cuenca, which is approximately 2 hrs from Madrid. Cuenca is an enchanting medieval town where houses precariously hang on the side of cliffs. En route to your next overnight, there are many places to stop and take in the views and get the little legs moving. We highly recommend a detour to the quirky Cuidad Encantada (Enchanted City), where massive limestone rocks have been eroded by nature into curious shapes. Continue along the beautiful and scenic Jucar River, making your way to picturesque mountain town of Albarracin. Stay the night here, allowing yourself plenty of time to explore the narrow winding cobblestone streets of this medieval gem. Moving on, you can make a detour to the ghost town of Belchite for a look around a bombed out town from Spain’s days of civil war. It’s an intriguing town and fascinating to learn more about the history of this country. On the west coast of the Canadian province of Newfoundland sits one of the most stunning drives in the world. The Newfoundland Viking Trail takes you along the Atlantic through Gros Morne National Park to the northern tip of the province in St. Anthony. The trail offers the chance to walk on the earths mantle and tour an inland fjord surrounded by towering 2,000 foot cliffs. Along the way, you could see whales breaching from a viewpoint in Arches Provincial Park, see caribou migrating and watch icebergs float through Iceberg Alley. The Newfoundland Viking Trail also marks the location of ancient aboriginal settlements, and of course l’Anse aux Meadows, which is the earliest known settlement of European visitors to the Americas. The Viking Trail is accessible year-round, but early-spring to mid-summer offers the best chance of viewing the majestic icebergs near St. Anthony. The summer gives way to incredible hiking and small-town festivals, while the winter is perfect for snowshoeing and snowmobiling. The Alaska Highway technically starts in Delta Junction (Highway 1) in Alaska, but we picked it up heading north from Skagway in Whitehorse, which is a lovely town full of activities along a lively waterfront district. Miles of open road (though in the summer the single lane traffic can be chock full of RVs and construction, you’ll see more wildlife (without the bear jams) than in more popular tourist destinations in Alberta and British Columbia. This section of roadway between Whitehorse and Watson Lake is simply gorgeous. At times, you might be the only one out there—or not. Moose, bears by the dozens, and sheep in herds venture out on their own time, with no agenda. Making your way east you’ll want to leave each bigger town with a full tank of gas–you won’t go through sets of tires like the “old days” on the Al-Can, but you will find gas is at a premium and can be hard to find in sparsely populated areas and can be very hard to find late in the day or early in the morning. Watson Lake should make the cut of places which should not be missed: over 70,000 signs adorn this quirky pit stop called Signpost Forest right in town. Kids will love making a game of finding signs they recognize from home. Liard River Hot Springs Provincial Park is the all-time favorite of the Canadian hot springs we frequented on this epic road trip (including the infamous Banff Upper Hot Springs and Miette Hot Springs in Jasper National Park) and is several hours east of Watson Lake in the Muncho Lake area. The newly constructed changing house and restrooms at the hot springs site is convenient but the site hasn’t been so developed one feels as though they’re in a glorified hot tub. The natural bottom and riverine appeal of the site makes it a stop worthy of a 2,000 mile road trip itself. 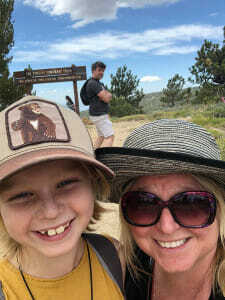 The parking area features a playground for kids and camping is available nearby, though it is unremarkable and the hot springs could easily be an afternoon soak stop on the way through. Few amenities are available in this area, so pack a picnic but be bear aware! Have you done any of these amazing road trips? I know I now have a much longer list for international travel, what about you? Great selection of trips. 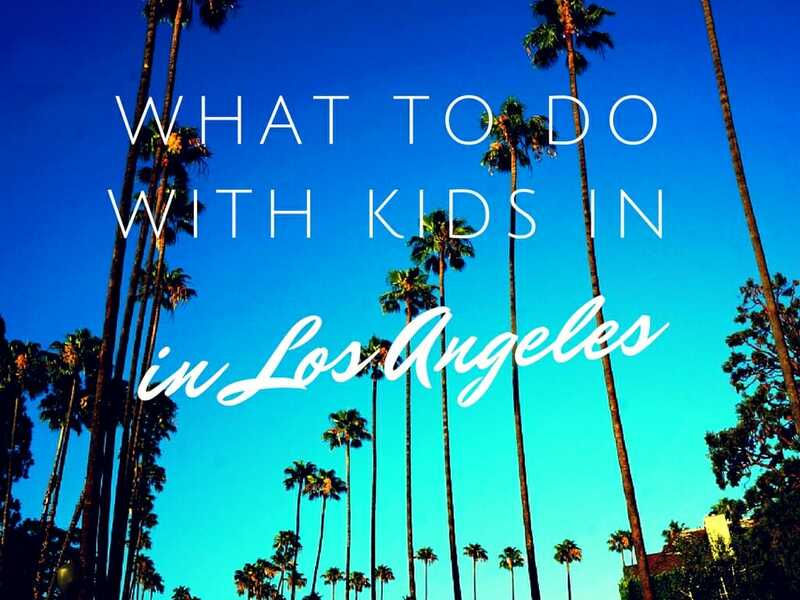 I can’t wait to tackle some of those with my kids! We’re doing a road trip through eastern Sicily this month: ice creams, ancient history, the seaside and a volcano, should be fun! Oh wow that sounds like a wonderful trip!